Have you ever been told to arrive for an appointment 15 minutes early only to be seen late? Have you ever called to make an appointment, and the person on the phone seemed annoyed with you? Have you ever felt unwelcome? Have you ever felt that you’ve gotten the run around? 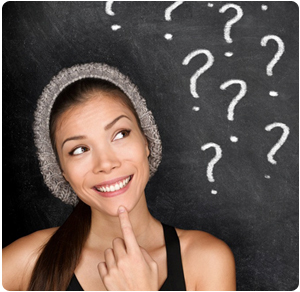 Do you believe you deserve a better experience visiting the orthodontist? Perhaps you had an initial consultation for braces with either a Santa Barbara orthodontist, a Oxnard orthodontist, or a Camarillo orthodontist, and something didn’t seem quite right about the orthodontist’s recommendation. You also may simply prefer to get two or three insights before committing to a decision. It is your right as a consumer to shop around, not only for the best deal, but more importantly, the best experience and quality. For Your Free Smile Assessment & Braces Second Opinion, Call Our Orthodontist in Santa Barbara, CA, Camarillo, CA or Oxnard, CA, Today! To get you started with your second opinion with orthodontist Dr. McDade, schedule your complimentary McDade Smile Consultation today!